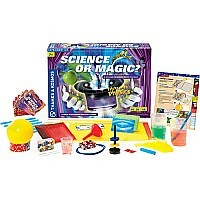 Home Shop Online Educational Toys Science or Magic? Science is often said to be magic, and magical phenomena are often explained with science. This kit gives kids a fun way to explore scientific occurrences and principles by doing exciting tricks and performances for an audience. 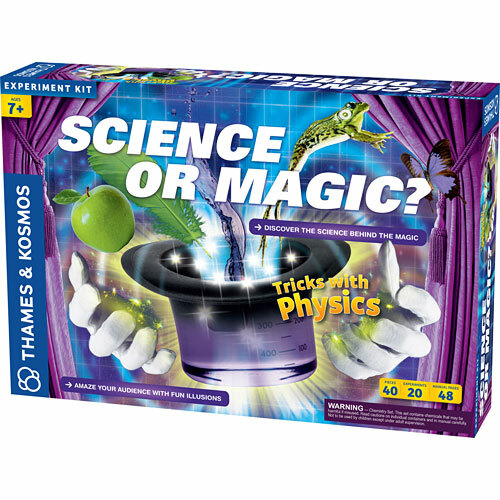 The 20 easy tricks in this kit always have scientific explanations behind them, even if they appear to defy the laws of physics and nature. 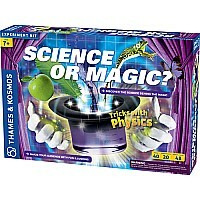 The tricks include levitating objects, making objects appear as if to move on their own, gravity-defying water, magically puncturing an apple with a flimsy plastic straw, a magical funnel that won't let water through, resting a balloon on a bed of nails without it popping, disappearing water, a magical balancing butterfly, levitating a funnel on a string, a magic box that makes objects disappear, and many more. Fun demonstrations include: What falls faster, a feather or a heavy weight? Can you blow bubbles into two glasses of water at the same time? Can you make a water balloon rise up on its own from the bottom of a tub of water? 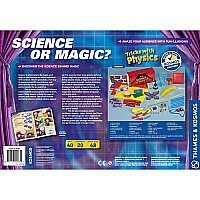 The kit also includes a small cardboard theater, props, tickets, and flyers to set the right stage for your magic show. 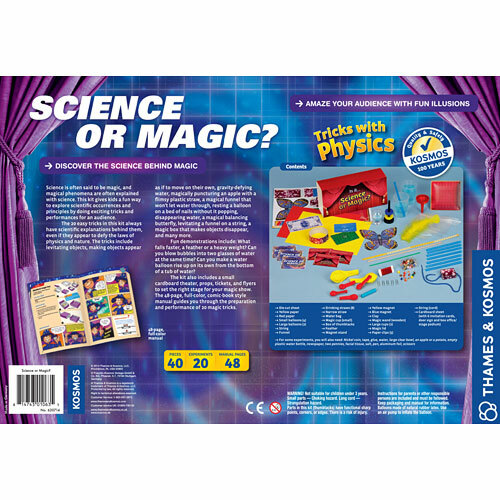 The 48-page, full-color, comic-book style manual guides you through the preparation and performance of 20 magic tricks. Measures approximately: 16.80 x 3.20 x 11.50 inches..